Boxing gloves are indispensable items for any boxing trainers and fighters, no matter what your level is. 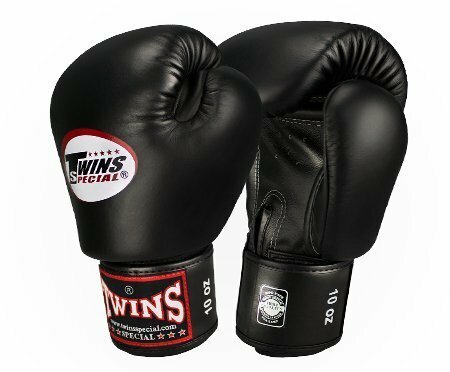 There are dozens different models, styles and brands of gloves that are made for specific uses, such as sparring, training and heavy bag punching. Choosing the best boxing gloves for use can be an overwhelming task for any individual who is not equipped with the right information. In this article, we will reveal all best options of boxing gloves based on different price ranges and an comprehensive guide on how to buy a pair of boxing glove efficiently. Yes, You can totally find a properly-working pair of glove for your training. These options are considered as best boxing gloves for beginners since they are affordable yet still solid and durable to use. Made of thick leather which makes it harder to break in the pair. Its design comes out really cool with all colors solidly combined without being exaggerated. Color options include black, white, red, blue, yellow and even pink. Fit snugly but in a comfortable way which enhances boxing technique. Made with less padding around the knuckle area making them thinner on that key area but with thicker padding on its back hand. This feature of having more padding on the back hand, offers protection against kicks although the knuckles are compromised. The padding is sparse on the knuckle area, together with the firm padding means comfort is compromised a notch. This is because the firmness found within its inner padding makes the hand feel like it is resting against a flat board. However the padding found at the finger tips ensures there is some bit of comfort on that front. The glove features a lining which offers comfort to the user by absorbing sweat. The straight thumb and lack of a grip bar are also reasons which cause the glove not to be all too comfortable. Have an excellent durability and the padding rarely breaks down. This is due to the fact that the glove is handcrafted with tight stitches which don’t give away with time but have a longer break in. Made with the IMF technology which is used to inject the molded foam padding into the glove. Its design is quite simple and bland with just a simple combination of black, white and red. Further, the Ringside IMF has a segmented cuff that acts as a second hand wrap and a longer cuff that is padded that allows flexibility and maximum protection to the wrist. Has a comfortable, snug yet compact fit which enhances the boxing technique. They provide such comfort that with time you may not feel as if you are in gloves at all and rather feels like you are boxing with bare hands without any soreness risk. The IMF technology that is used in the molded foam padding acts as a great shock absorber and for flexibility which enhances the comfort of the user. They also use the quick tie tech lace system which is an innovative way of tightening the gloves by the use of a simple pull on the laces. Durable, owing to the fact that they are constructed from 100% premium leather which can take hit after hit without giving in or tearing. The Imf Technology used in injecting the molded foam padding also ensures the glove remains compact throughout. Made of 100% cow hide leather which makes it easier to break the pair in and have it feel like a second skin in no time at all unlike the other two. It comes in various colors and fancier designs than other two pals. There are dozens of colors to choose from. Adequate padding to offer the required protection from impact although the padding is a triple too much than that of the Fairtex and Ringside glove which can render it bulky especially for the bigger sizez of 16-20oz. The padding is concentrated in the whole hand with a soft outer layer, a plushy inner layer that wraps around the knuckles and a firmer middle layer. This triple layer makes the glove more padded and firm while maintaining flexibility that allows a grip. Maybe not that comfortable which is compromised by the extra padding that comes with the glove. This is mainly because the glove is bulky and thick on the sides unlike the Ringside Gloves or Fairtex and may bring soreness to the knuckles for the smaller sizes. 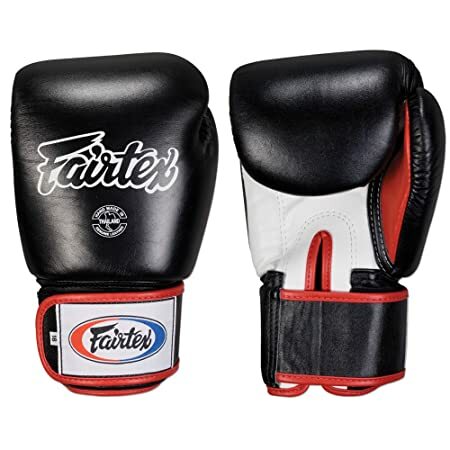 Made of pure leather and unlike the Fairtex and Ringside gloves, but may be not as durable. When exposed to hard training, heat and humidity they may start to fall apart before the year is over. Constructed with 80% leather and 20% polyester which means it’s not made up of pure leather. However this fact does not compromise on their quality but the durability of the same might be questionable. Made to provide the best protection from the 4 layers of c4 foam which is geared towards guarding against hyper flexion. Has a super tri-collar support panel which offers a superior and excellent wrist support protection to the user. The c4 foam used in the Everlast Protex3 Glove provides an increased cushioning support at the same time enhancing protection from the support that comes with the same. Made with improved technology with an improved curve to it which offers a perfect fit and grip. The c4 foam also provides for excellent support of the wrist together with the wrist stabilization technology. This offers a superior tri-collar support panel to the wrist. Handcrafted in Japan and made of pure leather. This extra padded glove is lightweight with an overall simple design that reeks of quality and durability from the leather material used and the attention to details paid on its construction. Have similar excellent protection offered making them ideal for bag work, sparring and mitt work too. This extra padding has earned the glove the name of a pillow since they cushion all impact and will not hurt an opponent during sparring. This pair is said to be the best orthopedic glove due to the superior protection offered. Thus for persons who have suffered injuries to any extent, The Winning will aid in getting them back to form. The Winning Glove has an anti thumb style to it which offers protection against accidental eye gouging and thumb injuries. Provides a snug yet comfortable fit with the right size too. This glove offers a good grip which allows maximum comfort in hand-speed due to the good balance provided from it balanced weight. The fact that the Winning is not as bulky a glove despite the extra padding makes it ideal and comfortable. Made for the long haul and can last even up to five years. The pair is hand made with attention to detail being paid all the way. This ensures the end product is of quality and durable which offers value for money since the stitching and padding will hold for a couple of years. However, unlike the Hayasuba and The Protex3 Glove the paint may come off on the impact areas with time and the leather will start to break down. Constructed from vylar leather that is very durable and enhances punch power. The carbonized bamboo lining for deodorizing and regulating temperatures together with the dual closure system are incredible materials that make the glove stand out. Uniquely built in design to offer superior performance and protection to the wearer. The glove has been built from extensive research and the outcome, is a skillful impact absorption mechanism with a splint system that aligns the hand and the wrist. The dual X closure together with the fusion splinting, offers the wrist maximum protection by aligning the hand and the wrist thus preventing injuries. 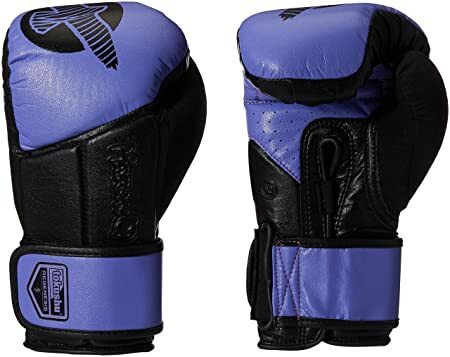 Has the feature of the carbonized bamboo lining which serves to enhance the power of a punch while regulating the gloves temperatures thus keeping the hand dry. This ensures the hand remains dry proving a comfortable wear during its use. Durable and longstanding due to the vylar leather material used in its construction and the fine craftsmanship can be seen from the tight stitching ensuring bunching up of the vylar while securing it at the same time. These three premium gloves above are great for boxing despite the heavy price that is pegged to each. They all offer great protection, comfort and are durable which are qualities one should look out for when searching for the best boxing gloves. Boxing gloves are made each for its purpose and choosing the right glove needs considerations on the specifications that support the purpose. Each glove type is built to offer protection to the wearer and opponent depending on the purpose, thus a bag glove will be constructed differently from a training glove and a competition glove. These are gloves that are worn during training sessions and every boxer has one. 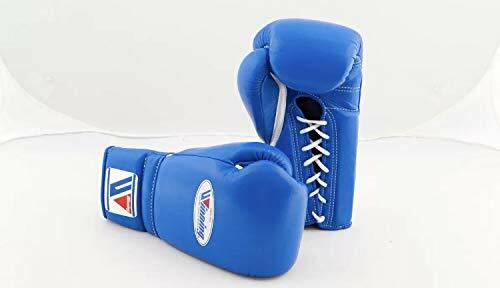 Training gloves can be used for hitting the heavy bags as well as sparring which is the reason why they can be interchangeable with sparring gloves. They require adequate padding to protect the wearer from either the bag or his opponent if used for sparring. Generally training gloves are recommended in certain weights and sizes; 120lbs and below, 120lbs to 150lbs, 150lbs to 180lbs and 180lbs and above. We have written an article of best boxing gloves for training to help you pick up the most appropriate ones! Good quality sparring gloves should have adequate padding to offer higher resistance and serve as an effective shock absorption mechanism. This feature is meant to ensure that both sparring parties do not get injured in the process since sparing is meant to improve the boxing technique of the boxer. They thus have a smaller size however full protection is still provided. And since every brand distributes the weight differently, getting a brand that has enough padding in the knuckle area and the wrist area is recommended. Check out our recommendations of best sparring gloves to get the right pair for your own use. Bag gloves are different from sparring gloves or competition gloves since they are designed to protect the user from the heavy bag. A pair of bag gloves should have adequate padding and a Velcro fastener preferred since when training with a heavy bag there is the likely hood of being on your own. 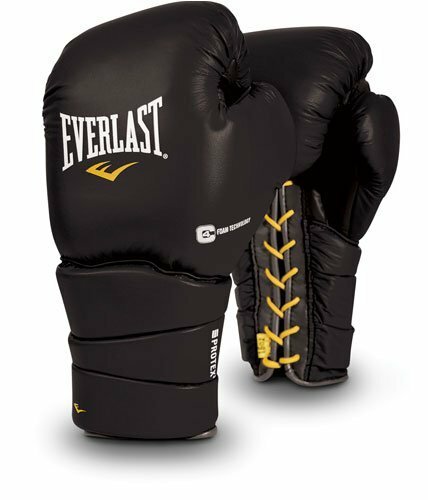 The best bag gloves brands are Everlast, Title Boxing Gloves, Cleto Reyes Boxing Gloves Etc. You can read our guide of best heavy bag gloves for more in-depth information. These are the gloves worn during a real competition and they will have specifications depending on whether the user is an amateur or professional. Where professional sizes are much smaller as recommended with the amateur gloves ranging at 12oz to 16oz. However the amateur boxing gloves have to be approved for amateur fighting. The trainers are charged with the task of recommending the right size and weight according to the specified regulations. These don’t really belong to boxing glove categories, but we still want to include them here since many boxers also train mixed martial arts along the way. Mixed martial arts feature a wide range of movement; hence, a pair of regular boxing gloves might not be a good fit. Check out our guide of best MMA gloves to why you should buy MMA and factors to consider. In this section, we have gathered few common questions buyers might have while making their final purchasing decision. Always opt for a pair of gloves that is made of leather unlike the synthetic vinyl. Vinyl made gloves come cheapest and are very popular but not long lasting. A pair made of vinyl is not recommended highly for boxing training but can be ideal for kickboxing and other fitness classes but not the heavy bag punching. Vinyl may be easy to clean but it has no longevity and will retain moisture for longer which could result in a smelly glove. Therefore if wondering whether to opt for a leather or vinyl glove; leather gloves come expensive and although the inside may be different they are durable and will stand the day in day out punching. Besides leather glove breaths and will break in easily to offer a perfect fit with time unlike any synthetic leather. Many brands out there offer leather gloves with some offering synthetic leather in the name of real leather and care should be taken when choosing a brand. The Fairtex Gloves , Ringside Hayasuba are some of the brands that make gloves from pure leather. However the leather may stretch a little with use so the right size should be acquired. Thus it can be said boxing gloves made of leather are the ideal and recommended pair despite the price that is considered to be on the higher side. A pair made of leather is more like an investment due to the durability and the great support they offer. Choosing a glove that is made uses lace up or hook-and-loop (Velcro) is usually not a taunting question to many. The lace-ups style is the old and classic look which is a preferred choice by some pro boxers. However the lace-up requires aid from someone else to tie and can be risky if a lace turns loose. A loose lace can fly around and be lethal to either the wearer of the glove or the opponent especially if they get into the eyes of either. Thus taping down the laces will be required in order to avoid such accidents, which is also another setback since the same will need help. The Velcro on the other hand can be put on, adjusted and removed by self without requiring aid from someone else. Although they should be a preferred choice too since they do wear out eventually but this can be a sign that a new pair is long overdue. Further, the Velcro is disadvantaged in that scratching the wearer and the sparring partner on the arms or face with its strips can occur. However this can be solved if boxing gloves cuff sleeves are used to cover the same. Getting the right size when it comes to boxing glove is very important for comfort, perfect fit and protection. Boxing gloves are commonly found in weights of 12 to 16 ounces but other sizes are available for the extra big hands. Despite the fact that the weight and size of a glove are different, sometimes the two correspond. The different sizes will therefore defend on the use with 8 to 10 oz being used for competition and 12 to 20 oz used during training. Professional fight gloves however maintain the same weight despite the size of the glove. When choosing a glove size it is essential to ensure that there is no room for your hand to wiggle in since this can cause injury. The two most important factors to consider when choosing a glove is whether the glove does stretch and whether it has room for hand wraps. Therefore when choosing a glove size getting a snug fit is essential since with time they will stretch to fit the hand properly. This means that a new pair may not fit perfectly but with time they offer a better fit. To ensure that the glove has room for hand wraps, it is recommended to wear hand wraps when fitting a pair before purchasing the same. Failure to, might result in disappointments when the same pair fails to fit with hand wraps which are usually worn with gloves after it has been purchased. Of consideration also is the fact that fighters use different wrapping styles and the hands may get larger requiring a larger size. 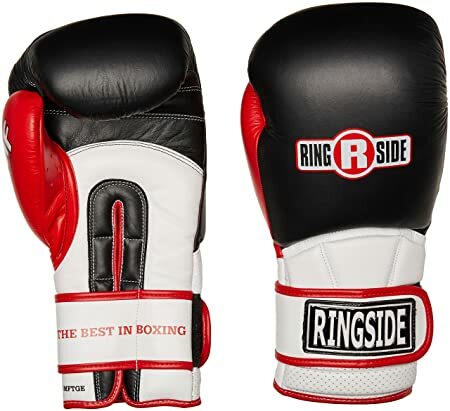 In conclusion, choosing best boxing gloves will firstly rely on four main criteria: types of gloves, sizes, materials and protection capability. Then other factors will come along the way such as prices, comfort and designs. Hopefully this article has delivered all useful and comprehensive information that can help you purchase a good quality pair of gloves.